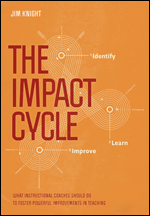 Quintessential Jim, The Impact Cycle comes loaded with every possible tool to help you reach your coaching goals, starting with a comprehensive video program, robust checklists, and a model Instructional Playbook. John Campbell and Christian van Nieuwerburgh introduce a proven, accessible, and usable framework to increase your interpersonal effectiveness and grow your ability to coach your staff to overcome obstacles and create their own solutions. 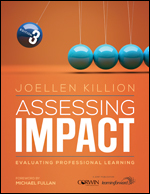 Design high-impact professional learning programs with results-based evaluations! Updated to reflect current accountability mandates, this guide takes you step by step through the rigors of producing an effective, in-depth, results-based evaluation to measure effectiveness and retain stakeholder support. 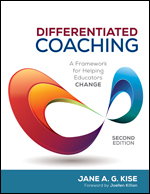 Differentiate your coaching practice to meet the needs of every teacher! Jane Kise shows how your strengths and beliefs influence your coaching style and how to tailor your coaching practice to meet the needs of each educator. Meet Dan and learn more about opportunities to Publish with Corwin.